Just because it’s cold outside, doesn’t mean you can’t plan the perfect outdoor wedding. If you love the idea of the snow as your backdrop, then planning an outdoor winter wedding in at the Crystal Ballroom in New Jersey is the perfect destination. Filled with a beautiful outdoor area complete with space heaters to keep guests warm, you’ll have a blissful time tying to knot in front of friends and family. If you’re going to be outdoors in the winter, however, here are a few quick tips to make sure your day is perfect. Although the snow can be great in pictures, you don’t want to plan your wedding when there’s inclement weather on the horizon. Bad winter storms can ruin your wedding décor and attire. Since the weather can be unpredictable sometimes, it’s probably a good idea to have a backup plan. Working with the staff at the Crystal Ballroom, we can assure that your day is special whether it storms or not. Another reason that outdoor winter weddings are so beautiful is the natural elements of the season. 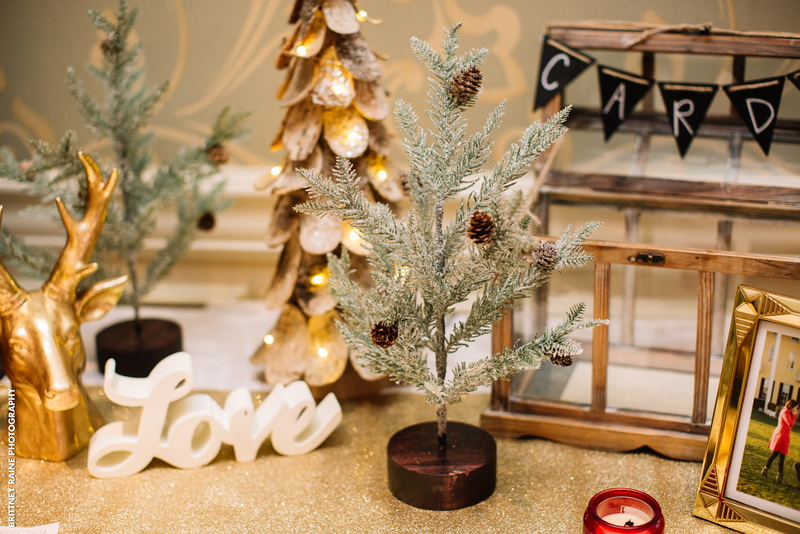 From pine cones, holly, and mistletoe to silver bells, doves, and holiday lights, your special day can truly be magical. When decorating outside, try to incorporate these elements into your big day. If you know anything about New Jersey winters, you know they can get downright cold and brutal. If you’re planning on having your ceremony outside at the Crystal Ballroom, make sure that you talk with staff about keeping your guests warm. 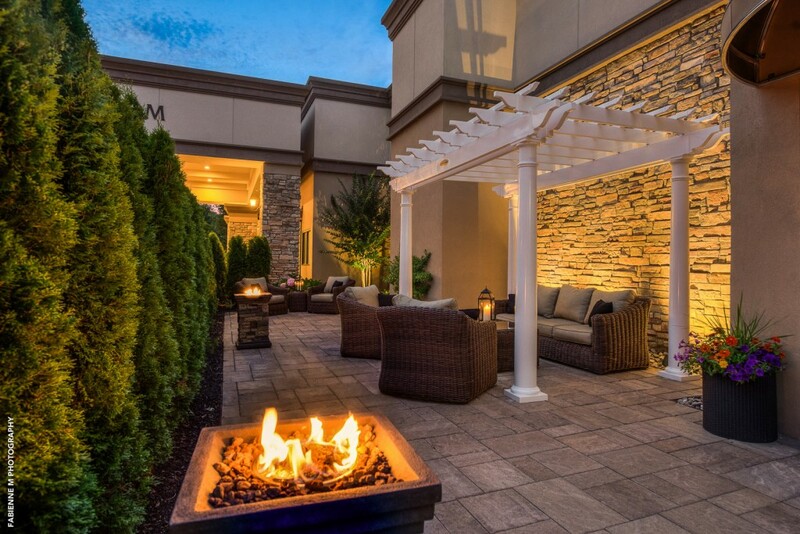 Our large space heaters and fire pits are great for the occasion. Other ways to keep your guests warm includes purchasing blankets for them to throw over their shoulders. Also, incorporating warm foods and drinks like soup, hot chocolate, and comfort foods like bacon can warm them up from the inside out. Check into our Winter Wonderland package for great wintery food options. You may have thought that outdoor weddings had to be saved for the spring and summer, but, they can be very romantic in the fall and winter. The backdrop of evergreens, snow, the various smells and colors of the season, warm food and drinks, great entertainment, and your friends and family are all you need to make this day one to remember.